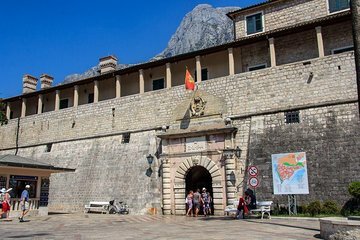 Learn about the history of Kotor on this guided walking tour through its Old Town. Admire the monuments and beautiful architecture. Spot the clock tower in Armory Square, Karampana Fountain, St. Tryphon Cathedral, and St. Nicholas Orthodox Church. Stroll through scenic squares as your guide tells you about Montenegrin history and culture. Excellent guide, very professional and knowledgeable !! and nice with it. Details : I did appreciate to see our name on a big sign she made for the day with us. Easy to find each other. Would recommend anyone who wants to take an hour to discover and understand the history of Kotor. Please keep her in your team ! 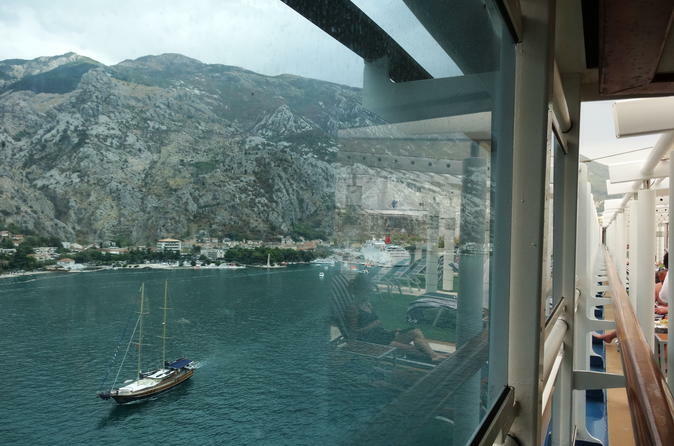 The walled city of Kotor, Montenegro, was an unexpected delight! You can see the development of a European city from Medieval times through the Venetian Empire to the Baroque era. Our guide Alex was working on his Master's degree in History and it showed. He was super knowledgeable, very well spoken, and presented the information well on the churches, palaces, and plazas we traversed. I would have liked a bit more information on commerce over the ages. Any time we asked a question, he had the answer. Ask him about the cats. He gave time to take photos. The walk was not too strenuous for my 91 year old father. Meeting Alex outside the city gate was a bit of a challenge because the sign he held did not have our name on it and did not say Viator in big letters. It just said 1 Hour Walking Tour. There are sidewalk cafes just inside the city gate. It might be better to agree to meet at one of those while you sit and drink coffee than to stand in a crowd from the ship looking for Alex. Very good overview from sophia. She answered all our questions. Enthusiatic and interesting. Sophia was an OUTSTANDING guide whose pride and love for her country is very apparent! Our tour followed the same route as those offered by the cruise line at a fraction of the cost....the best part? It was a VERY small group, as opposed to hordes of people on the ship,excursions. We learned about the history of Montenegro and the significance of the four plazas in the Old Town. I traveled with my elderly mother and 8 year old nephew and it was the perfect pace for all three of us.